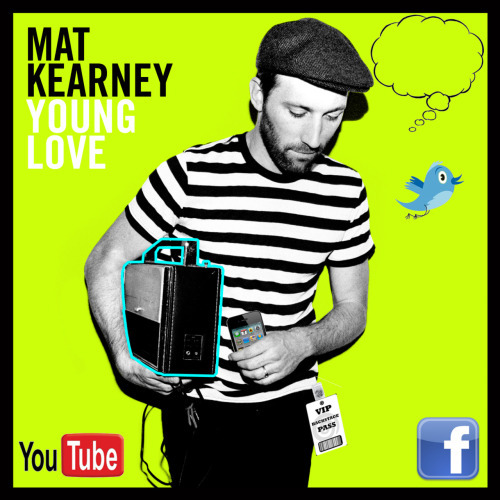 One2One Network sent me a copy of Mat Kearney's latest release, "Young Love" and I've been listening to it in the car for the last couple weeks. Right about the time I was asked if I wanted to review the album, I heard his song, "Hey Mama" and wanted to know who sang it. I was pretty excited to find out that it was Mat Kearney. I had never heard of him before, but I really like his folksy style and "Hey Mama" is one of my current favorite songs. I loved reading about how he wrote the song for his wife, as a memory of when they first met. His music is great to listen to while driving about town and forgetting that it's 110 degrees outside still! The kids also enjoy listening to it, which is always a plus! I recommend this album, and I know I'll stay on the lookout for his future music releases. Colin has been participating in a journalism camp at Gangplank in Chandler, AZ. Gangplank is a collaborative workspace that hosts some amazing businesses, but Katie Charland (the director), decided to host a journalism program for kids that started this summer. She volunteered her time and space, offered the camp at no cost, and sent the word out looking for kids aged 8 - 14. Bo happened to see the article through Yahoo News and offered to take both boys. Nate wasn't interested, but Colin definitely was! Over the last couple months, the kids have been learning about journalism -- from news stories, editorials, photojournalism, podcasting and more. Today, I'm sitting in the room listening to them hand out assignments so that they can create a news site, that should go live in a few weeks. 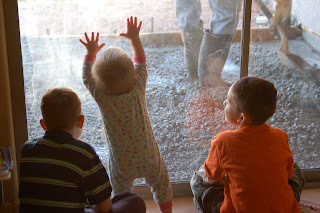 Every bit of the site will be done by the kids -- stories, pictures, blogging, etc. It's been a great experience for Colin and I can't wait to see what they create. 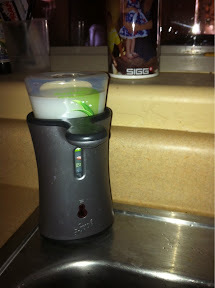 I have seen the Lysol no-touch soap system in the store, but I wasn't sure how it would work. When I was offered the chance to review one by Mom Select, I jumped at the chance. When it arrived, my brother happened to be visiting and mentioned that he uses them in his house. He liked them and told me that he had them in the bathroom and the kitchen. I knew I wanted to put ours in the kitchen because that seems to be where everyone has the messiest hands to wash. You can see it there on my kitchen sink. It is WONDERFUL! All you need to do is put your cupped hand below it and a perfect-sized dollop of soap lands in your hand. My kids tend to pump multiple times on traditional soap dispensers, so this system has definitely cut down on wasted soap in our home. We've been using it for a few weeks now, and I just bought another system for the kids' bathroom. I bought my second set from Amazon (Lysol Healthy Touch Hand Soap, Starter Kit Stainless, Aloe, 8.50-Ounce ) I highly recommend this system! The other Lysol product I received were Lysol Dual Action Disinfecting Wipes . I've used Lysol disinfecting wipes for years, but these are different because one side is abrasive for heavier scrubbing, while the other side is smooth -- like the usual wipes. I really liked them for dirtier jobs and found the abrasive side to cut down on the necessary scrubbing. You can visit the Lysol website for more information about Lysol, including tips, tricks and coupons! You can also find them on Facebook. Like them on Facebook in order to enter the Lysol No-Touch Stainless Kitchen Sweepstakes! Nate and I just participated in the NSA (National Stuttering Association)'s virtual meeting via BlogTalkRadio about back to school issues. If the code worked correctly, you should be able to play it back below. The topic was "Back to School" and everyone that participated gave great information and I found it very interesting. I loved that the kids participated fully in the show. Nate called in from Arizona (where he was waiting for his sister during her ballet class) while I called in from South Carolina (where I am for work). Technology is amazing! 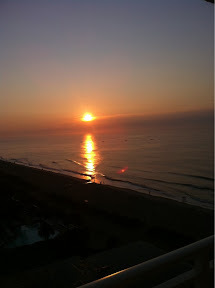 I'm writing this from a 13th floor balcony, overlooking the ocean. The picture in this post is my view from that balcony. 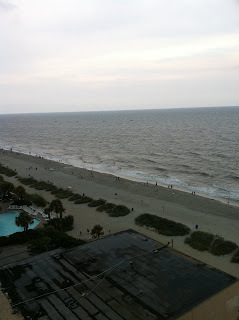 I love the beach, and I am loving that I can sit here and listen to the surf. I'm in Myrtle Beach for work. I flew in today, will train a group of teachers tomorrow, and head back to Phoenix on Tuesday. Then, I'll teach a class in Phoenix on Wednesday. I'll hop a plane to San Antonio on Thursday, teach on Friday, and home again on Saturday. It's a pretty busy week -- more travel than usual, but it is the busy season for one of my clients and as my husband likes to say "We should make money while we can!" You never know when the next dry spell may hit. I enjoy traveling. I like people-watching in airports, the long stretches to read on planes, the hotel room all to myself at night. I also enjoy training and consider myself fortunate that I am able to travel thanks to my skills as a trainer. When I mention that I travel for work to other women, I usually receive comments such as "Oh, I could never do that! My kids need me at home." or sometimes a wistful "I wish I could go . . . " (but they admit they wouldn't make the choices in life to make that happen) They often don't think they could possibly leave their husband in charge of the kids. I am not the only one in our family who can care for our kids. I may be the one who keeps the best track of their schedules, but my husband is perfectly capable and willing to do whatever is necessary to take care of our children. This week, he will learn how to put our 4yo's hair in a bun as she starts a new dance school that requires girls' hair to be in a bun. He will make lunches and get the kids off to school and feed them breakfast and dinner and make sure the boys do their homework. 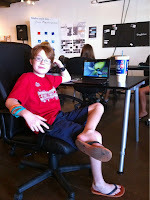 He will take Lydia to dance and Nate to soccer and Colin to journalism camp. He'll take them all to a school-sponsored swim party this week. All the same things I do when he travels -- and all the same things we both do when we are both in town. When I get home, they'll all be just fine and the house won't be trashed and he will have cooked healthy meals. I know I've written about it before, but I am always amazed when I read about the herculean efforts some moms go through in order to go out of town for a couple days. They freeze meals and make long lists and make all the driving arrangements. Me? I pack my clothes and make sure I have all the computers, chargers, files, etc. that I need. I double check my travel arrangements. I make sure that our family calendar is synced so Bo knows what the kids have planned. And, then I go. Do I miss them? Of course! I'm grateful for technology like FaceTime that allows me to see everyone when I'm miles and miles away. I love sending text messages to my boys to keep up with how their days went. Coming home is always a sweet reunion. Do I worry? Yes! But I worry when I'm home, too -- that's just my nature. The big question, though -- is am I guilty? I read a quote by Sarah Jessica Parker today that said she's not guilty, but she is conflicted sometimes. Just like her, I have made the choice to work. I think it's a good choice for my family. There are many advantages to it, but of course there are also conflicts. I am conflicted, though -- not guilty. Conflicted because I wish I could be an awesome mom present all the time, but at the same time I want to be an awesome trainer that gives that my all. I work hard at balancing my life, and most days I do a fairly good job of it. I couldn't do it without my husband. He makes it all possible -- because he supports me in all that I want to do and all that I do. I'm grateful and lucky and really enjoying the beach today! And I won't feel guilty about that! This is the gift I created for our 14th anniversary. I talked with the kids and we came up with a list (a long list) of things that we believed in as a family. Once I had the list, I sent it to a graphic artist and she created this amazing image. She sent me a high-res image and I then sent it to Costco for printing. It was only $9 for a 20x30 poster! I then took it to Hobby Lobby and purchased the red mat and frame. 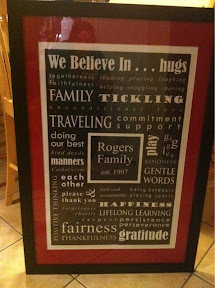 Did you know that if you purchase the framing material, they will put it all together for you for free?? He loved it and so do I. Words are a big part of my life, and these words describe what we want from our life. I was chosen by House Party to host a party with Simply Asia and Thai Kitchen products and I received a box full of the goodies you see. I admit I wasn't too sure how the flavors would go over, but since our cultural dinner plans have pretty much fell through the last few months, I was excited for the chance to have everyone try new foods. They sent along some recipes, so I looked through and chose a few to make for the party. I decided to make the lettuce wraps as an appetizer. They called for ground turkey, but with the recent recall I couldn't find any ground turkey or chicken. I thought about using ground beef, but then I saw a pound of ground bison and picked it up. The filling was so easy to make! All I had to do was brown the meat and add a packet of the Simply Asia Ginger Teriyaki Stir Fry Sauce and cook a little longer. I served it with lettuce leaves (anyone know how the restaurants get the leaves so neat? I had a hard time making nice cups) and toppings of shredded carrots, bean sprouts and crushed peanuts. These were a HUGE hit and a great way to start the party. I also made a cold broccoli and shredded carrot salad, and added Thai Kitchen Sweet Red Chili Sauce, tossed and chilled. This was another big hit -- the only improvement I would make next time is to cook the broccoli less. I was distracted while cooking and let it boil a couple minutes too long. It was still yummy, though -- just not as crunchy as I would have liked. We also had jasmine rice. No special recipe there. I was going to make the rice with coconut milk, but my sister warned me that it made the rice pretty sweet -- more like a dessert rice rather than a dinner side dish. Finally, I rubbed a flank steak with Thai Kitchen Roasted Red Chili Paste, along with salt and pepper and some olive oil. The chili paste gave the meat a very nice flavor and again -- it was a hit with everyone. I was amazed most of all by the fact that Colin eagerly ate everything and never muttered a word. He is my most picky child by far, but he declared it all delicious. Everyone agreed with him. I finished up the meal with a pineapple smoothie made with crushed pineapple, juice, coconut milk poured over shaved ice. It was light and refreshing. If you see Thai Kitchen or Simply Asia products, you should try them out. The flavors are wonderful, but not too spicy! I know that I will keep a supply in the pantry for our own meals, and I plan to make lettuce wraps again in the very near future. Last year, we enjoyed our first annual cheese party after Nate became interested in the wide variety of cheeses available at Whole Foods Market. It was so much fun, that we decided to make it an annual tradition for the night before a new school year. The boys started school on Wednesday, so on Tuesday we headed out to Whole Foods to see what we could find. There are so many different cheeses available that all the kids had fun sniffing and choosing what cheese we would try. We ended up with about a dozen different cheeses, ranging from simple cheddars to rosemary-encrusted romanos and anything you could imagine. They have a basket with chunks of cheese under $3 where we chose some samples from. They are great about cutting cheese for you, but nobody seemed to be working in the department that afternoon. I had also wanted to try some olives from their olive bar, but the lids didn't fit the containers, so I decided to nix that idea. After choosing our cheeses, we picked up some fancy crackers, organic grapes (green, red and black! ), grape tomatoes, 2 bars of organic chocolate, a bottle of wine and some glass-bottled soda for the kids. It was definitely a splurge, but the fun of the evening was worth it! We go through the cheeses one by one and we all taste the cheese and give our opinion. We liked them all this year -- except for one gouda. (We loved the other gouda Lydia chose) We all ate plenty, and finished our meal sharing the 2 bars of organic chocolate. It was fun, and we all think this is a fun tradition to continue. We have leftover cheeses in our refrigerator, and will use them up over the next few weeks -- giving us a chance to remember the fun all over again! This sweet picture was snapped on Saturday during a demolition derby. A week ago, my brother texted me and said "Hey, there's a demo derby advertised. Think the boys would want to go?" We all (my family, my sis, my brother & his girlfriend) decided to go to our first demo derby Saturday night and had a good time. It was hot, but at least the sun was down! There were ATV races, motorcycle races, and of course -- the demolition derby where cars smashed into each other and got stuck in the mud. My favorite part was watching the trucks push the smashed up cars out of the mud. Nate thought the racing was the best part, and Lydia was great until she got bored. Once again, Netflix on my iPhone came to the rescue and my brother's girlfriend had headphones in her purse. Colin was tired and we ended up heading back to the truck so he could sleep while everyone else watched the rest of the events. 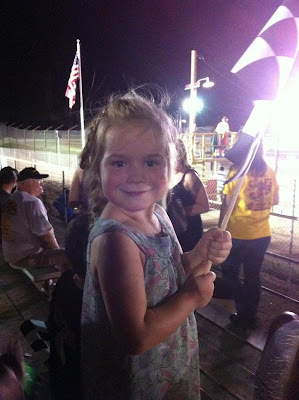 There are regular racing events at this track, as well as the occasional demo derby, so I'm sure we'll be back. Personally, I'm waiting for cooler weather. You know the drill -- if you want to know the story behind this picture, come back tomorrow for "Tell Me Thursday"
Fourteen years ago, I married that man to the left. The day we married, we had no idea what the future held -- we only knew that we wanted to find out together. Sitting here today, I realize that I still have no idea what the future holds, but I still want to find out with Bo at my side. We have sold businesses, made a cross-country move, had three children, suffered a miscarriage, built a house, traveled, changed jobs countless times, grieved the loss of family members, had ups and downs financially, dealt with illnesses, and lived life. Through it all, we have been at each other's side. I know that I can count on him no matter how wonderful or awful things might be. Together we are stronger than apart, and I couldn't have chosen a better partner for my life. I could have chosen a few different pictures, but I like this one. On top of being a super-terrific husband, he is an absolutely fantastic father. He may have thought he only wanted one child when we got married, but I know that today he couldn't dream of a life without all our children. He is devoted to them, and is the type of father who does everything with them and for them. Today, I wish him a Very Happy Anniversary! I'm looking forward to the next 14 years . . . and then the next 14 . . . and the next 14 . . . and so on. If you look carefully, Bo & my boys are in the middle of this picture, floating on the lazy river which is in the Oasis Water Park at the Arizona Grand Resort. We did have a few issues regarding housekeeping and a couple other things. It appears that the resort is doing pretty well, and some things slid during our brief stay because of the volume of guests. Certain areas just didn't meet the expectations I have come to expect from the resort. Management did talk with me about my concerns, and worked to correct the issues, so I'm sure we'll be back again. My kids absolutely love the Oasis Water Park. Colin declared the lazy river his favorite, while Lydia this year preferred the "bumpy pool" (otherwise known as the wave pool). She was fearless bobbing in the waves and thought the entire experience an absolute delight. Nate loves the water slides best, and had the opportunity to take quite a few slides with Bo during our stay. We stay in a suite when we go, which gives us plenty of room. There are 2 beds in a bedroom, and then a pullout couch in the front sitting room. We also like to choose a suite close to the water park, avoiding the need for a shuttle (or a long, hot walk) to get to the water park. We bring snacks and drinks to help keep costs down, but those are only for in our rooms, since outside drinks and food are not allowed into the water park area. 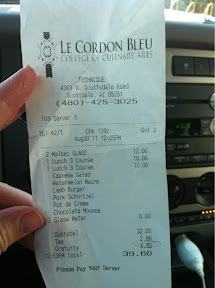 We also enjoyed treats and drinks by the pool, and the prices are fair and typical for a resort. School starts next week, and while it was looking iffy for a bit whether or not we would be able to take our annual water resort vacation, I'm glad we were able to end the summer on a high note. Lydia is pushing on our old sliding door, while all three watch them pour the concrete to bring our outside patio flush with the indoor floor. We had this done in anticipation of closing in the back patio and turning it into another room. The project took much longer than anticipated, but Bo did the majority of the work himself. The project paused while we earned the money, and found the time, but it's been complete now for a couple years and we enjoy having the extra space off the kitchen. We use it as our office, and the old office became Lydia's bedroom. One of things we'd like to consider in the future is adding a sliding door between the office and the kitchen. While most of the time it's nice to have the open space, there are also times when some additional privacy would be nice. Since Bo is a fabulous handyman, I am sure he could figure out how to do it. Years ago, he did quite a bit of woodworking in our old basement (back in WI), and I can envision that he could craft a gorgeous door with sliding door hardware. I'm not sure when it will happen, but I know that if I decide I really want it, Bo will make sure it does.